Derwent Inktense Pencils turn into a vibrant, permanent ink when mixed with water. The Derwent Inktense Pencil range is suitable for use on fabric, silk, cotton canvas and paper. 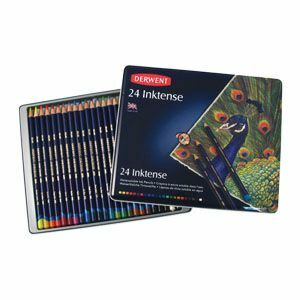 The derwent inktense coloured pencils can be used for watercolour, decorating fabric or colouring in.